Words, at one time or another, have a profound impact on us. As I have watched some of the television commercials currently running and that will, undoubtedly, continue to run, paid for by out-of-state entities, falsely describing the Affordable Care Act (ACA) most often referred to as Obamacare, one word came to mind: Reprehensible. Reprehensible is an adjective that declares something morally wrong, evil or disgraceful. My wife added that it seems also to imply the term, “dastardly.” Both words are consistent in describing these too often seen commercials. These commercials imply that the ACA has exorbitantly raised insurance premiums for individuals and denied others the opportunity to renew their insurance policies from last year. This is simply not true when applied to the effects of the ACA in Iowa. The facts: 84 percent of last year’s individual health insurance policies were sold by one company, Wellmark Blue Cross/Blue Shield. The only other companies offering individual policies in Iowa in 2014 that are not on the hybrid federal/state health insurance Exchange are Celtic Insurance, Time Insurance Company, and Freedom Life Insurance Company. All of these are small, regional companies. The problem in the Iowa market has been a profound lack of competition with several major insurers leaving the market before 2013. 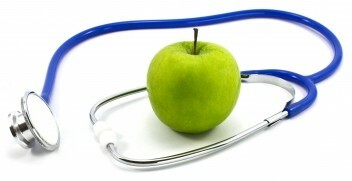 These include Humana and Principal in 2010, and Aetna, American Republic, and American Family Mutual, all in 2011. The commercials claim that those in Iowa who had individual health insurance last year would 1) not be able to acquire the same insurance policy, and 2) they would pay greatly increased premiums for such policies. In the case of Wellmark in Iowa, everyone with a 2013 individual policy was offered the same policy with no change in the rates except for the eight to nine percent tax increase for all insurance policies under the new law. The cumulative effect is still below the average annual premium increases Wellmark has imposed on individual policies for each of the past several years. In all my years, I have never heard of a zero increase for a health insurance premium for the subsequent year. This guarantee of renewal with no increase in the base premium rate is occurring in Iowa, a state that already has some of the lowest health insurance rates in the country. Thus, in Iowa, the statements made in the commercials are patently wrong. These commercials are morally wrong because they engender a sense of fear about the ACA which in turn, effects behavior. Mary Kitchell, the director of the Ames Free Medical Clinic (which is closing because a new Community Health Center will open soon) who, for 16 years, has donated her time every Thursday evening, described to me several individuals who refused to sign up for health coverage through the Exchange because of the perceived harmful connotations of Obamacare. When I have worked at the Free Clinic, I also have had similar conversations with uninsured individuals. In my family medicine clinic, I have a patient with an inherited kidney disease whose sister has had a kidney transplant and whose brother is on the transplant list. Fearing and not trusting Obamacare, my patient, rather than sign up on the Exchange for a standard health insurance policy that would have been at a subsidized rate, chose to maintain an expensive high deductible policy that now forces her to forego much-needed medical care. She, of all my patients, needs to have health care now to avoid serious medical problems in the future. Another salient point is that the distraction of being concerned with maintenance of previous individual health policies prevents promoting the available offerings of Coventry and CoOportunity Health individual insurance plans that are available with subsidies on the Exchange. For now we will save that discussion for a future blog. Having recently returned from the Big 12 Men’s Basketball Tournament in Kansas City, I am also struck with the analogy that the same outside-of-Iowa interests paying for these reprehensible commercials also seek to direct how Iowans should vote in the upcoming election for our congressional representatives and senators. This is akin to having the University of Kansas fans tell Iowa State University who to hire as its men’s basketball coach. There is another element to the word reprehensible, which describes seeking to censure or voice disapproval. While in Kansas City, I visited the World War I Memorial. At the Memorial there is a large display of thousands of artificial poppies. Each poppy represents a thousand people who died in World War I. Historians and others called that war “The Great War,” “The War that Ends War,” and “The War to End All Wars.” As we know, it was not the war to end all wars and less than 25 years later, came World War II, which suggests to me that tragically war or at least armed conflict, will always be part of human nature. At the Memorial, I was moved by a quotation honoring the soldiers who fought and died saying that they were an “inspiration to loyalty and high endeavor.” Those words, sandblasted on that granite wall in 1926, symbolize to me that there will always be a need to respond to war and other needs in society; health care among those needs. In my view, the lack of health coverage in Iowa, and false and misleading television commercials which create fear and harmful behavior by encouraging people not to enroll for available health coverage are merely current examples of the struggles that our society will always face. It would be reprehensible for us not to live up to that ideal of responding to human struggles in the spirit of “loyalty and high endeavors.” Mary Kitchell is one of those people who lives the spirit of loyalty and high endeavors. I applaud Mary, who for 16 years ran the Ames Free Medical Clinic, and others like her, who live up to that high ideal by providing health care to those without care.